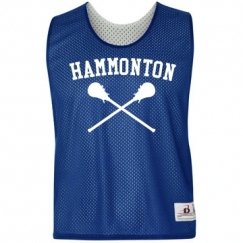 Hammonton Youth LAX is in its infancy stages. In the town of Hammonton, NJ in the heart of South Jersey there is yet to be a lacrosse program established. We have started partnering with local municipalities to introduce lacrosse to our town and start gaining interest for the sport. Once that is done, we'll begin working with US Lacrosse to get the program off the ground. I have a passion for the sport, specifically what lacrosse gave to me in my young adult life. I never had the opportunity to play at a young age so I'd like to give that same gift LAX gave me to the youth of my community. Follow us @HammontonLAX on Twitter and if you have some advice, don't hesitate to message us on Twitter. I'm a high school girls lacrosse goalie and my school's team has recently gone down hill. Did you ever think of maybe starting a playing team for teenagers? I want to play more than anything. Join in and write your own page! It's easy to do. How? Simply click here to return to New Jersey Lacrosse.